When looking for an affordable wedding photographer in Brisbane, it can be easy to fall into the wrong choice. To be sure, look for a photographer who, firstly, understands your needs, and secondly, is capable of capturing amazing moments from your wedding. The photos of your wedding will soon be your only memories of your special day, and you will want to cherish them for a long time. So even if you’re working within a budget, watch out for these 8 common mistakes. 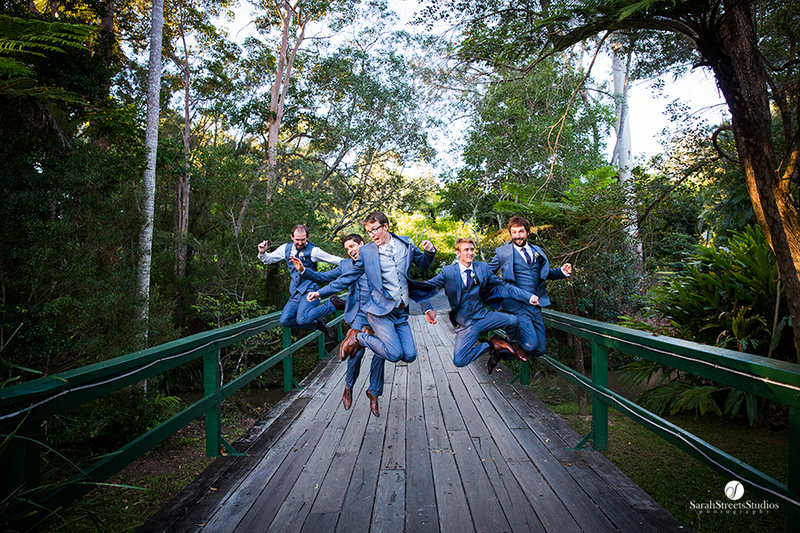 It is natural for wedding photographers in Brisbane to put only their best shots in their portfolio. Although it is necessary to ask for a portfolio, be more specific and ask to see full wedding albums instead. Looking through complete albums will give you a greater perspective on the quality of photos the photographer can create. A lot of people get impressed by shoots that are staged and styled without realising that these photos are extremely different from those taken during the actual wedding itself. The major difference between these two photos is that, in creating the former, the photographer can control the various elements that will affect the quality of the resulting photo. On the other hand, on-site wedding photos are more spontaneous and thus offer better insight into the true skills and capabilities of even the most affordable wedding photographers in Brisbane. These are the kinds of photos I specialise in. I like to call them documentary-style photos, because they are more natural and emotive compared to staged photos. A lot of affordable wedding photographers in Brisbane try to distract you with photos of pretty props such as tables, flowers and wishing wells. Dubbed as filler shots, these photos are even sometimes used to distract from the fact that the real photos – the ones of you and your partner – are not that good. The most important thing to ask when browsing through a photographer’s portfolio is what you really want from your wedding photos. Do you want nice photos of pretty wedding props, or heartwarming and memorable shots of the laughter, the tears of joy and the priceless moments that happen during your special day? In trying to book an affordable wedding photographer in Brisbane, many couples make the mistake of ignoring warning signs pertaining to the photographer’s personality or attitude. If you don’t feel comfortable with a photographer, it is best to move on to your next option as this will certainly affect how you feel during your wedding day. As the wedding photographer – and knowing that I will be with the couple for the entire day – I always make sure I have great rapport with my clients. My 8 years of experience specialising in wedding photography has taught me how to help my clients feel comfortable and relaxed on their big day. Although price is understandably one of your most pressing concerns when looking for an affordable wedding photographer in Brisbane, don’t let it be your only criteria. It is possible to get a good deal from professional photographers; it just takes a little patience. For my part, all couples who book a wedding album package and pay their booking fee will be entitled to an engagement shoot and a free 8×12 inch print in a ready-to-frame mount that they can hang on their wall. If you come across an affordable wedding photographer in Brisbane, you may feel like you got a good bargain because they were cheap, but if you get poor-quality photos in exchange, then that’s not really a bargain after all. You are simply getting what you pay for. Many photographers use their cameras as not just a tool but as additional perks to impress their prospective customers. In my experience however, I can tell you that even the biggest, most expensive cameras will not guarantee great-quality photos even if the photographer does not have the necessary skills and training. On the other hand, an experienced professional wedding photographer can make even the simplest camera work to your advantage. I, for one, use artificial props and external accessories sparingly. In fact, I love being an wedding photographer in Brisbane because our near-perfect weather gives me a lot of natural light to use in my photos. Thus, I only whip out my trusty speed light when it’s really necessary. When considering different photographers, it may be tempting to schedule meet-ups with several of them. However, this can be a long and confusing process, so try your best to keep your shortlist to a limit, preferably three at the maximum. It is also best to meet photographers offering different price ranges. This way, you will be able to compare their work and gauge whether paying more will indeed get you better quality or if you can get the same quality despite hiring an affordable wedding photographer in Brisbane. Most importantly, don’t forget to consider how comfortable you feel with the photographer, as this will greatly impact how you feel on your wedding day. The only effective way to do this is to schedule a meet-up. Some couples, especially those who don’t have much time to prepare, choose to skip this step. In my professional opinion, that is a big mistake. In fact, I make it a point to personally meet my clients before the wedding day itself. This gives me a chance to get to know them, understand what they need from their wedding photos, and know what matters most to them, so I can give them photos they will want to cherish for the rest of their lives. While an affordable wedding photographer in Brisbane may save you money, there are certain mistakes you need to avoid to ensure you get quality photos at an affordable price, rather than simply getting what you pay for. For a wedding photographer that you can rely on to deliver truly beautiful wedding photos, you need an award-winning photographer. Nothing can take the place of long experience, professional training and quality that has been tried and tested. Just because you’re looking for an affordable wedding photographer it doesn’t mean that you need to settle. Give me, Sarah Streets, a call so we can discuss how we can make your wedding truly memorable.